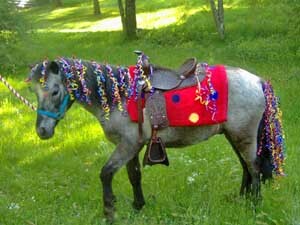 You can have an adorable, decorated Shetland pony delivered straight to your door to really make an impression at your Birthday Party, Fair, Wedding Reception, Family Gathering, Corporate Picnic or just to surprise your pony-crazy child. We serve the Monadnock region & Southern New Hampshire area. I hand lead "Blue" as my daughter helps the children on & off. Your child`s fun & safety are paramount to make the day especially memorable. We make sure you have plenty of chances for photo opportunities as well! 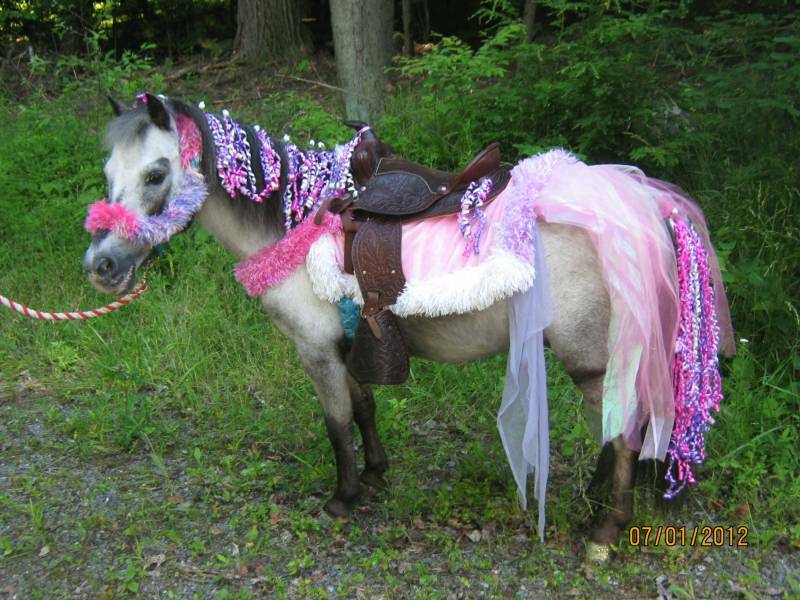 I have over 30 years experience with horses and children. "Pink Princess", "Rainbow Princess" (2nd & 3rd picture)and custom themes to your specifications are $25 extra. 20 miles from our farm are included, additional mileage is $2.00 per mile, we only charge one way. "Polka Dot" " Pink Princess" " Rainbow Princess"